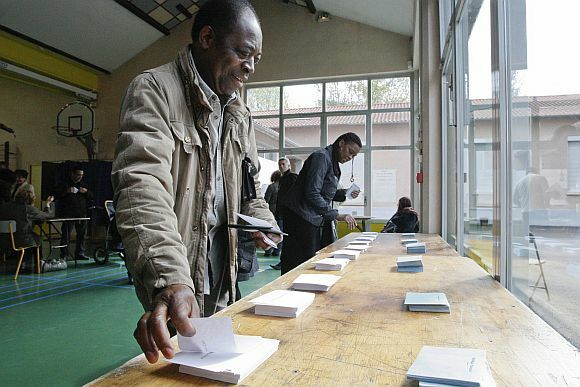 The first round of the 2012 French presidential election officially kicked off in mainland France on Sunday morning. With polling stations opened at 8:00 am local time, some 44.3 million registered voters are expected to cast their ballots for one of the ten candidates. 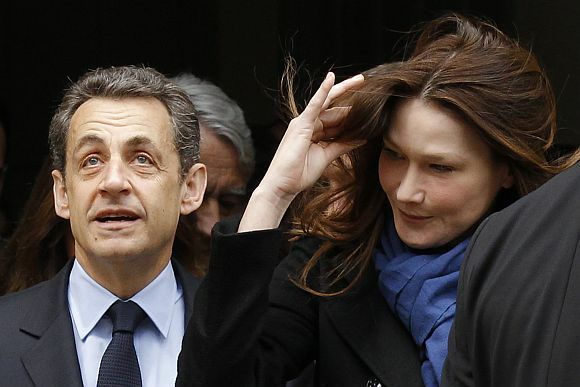 The latest available IFOP survey released on Friday showed that Socialist Party candidate Francois Hollande, who would run neck-and-neck with incumbent President Nicolas Sarkozy in the first round, winning 27 percent of votes each, would be a comfortable winner in May 6 run-off. Meanwhile, Marine Le Pen, a candidate from the National Front, trailed behind with 16 percent of the vote, according to the survey. The 85,000 polling stations across the country are set to close at 8 pm local time in big cities and at 6 pm in other places. 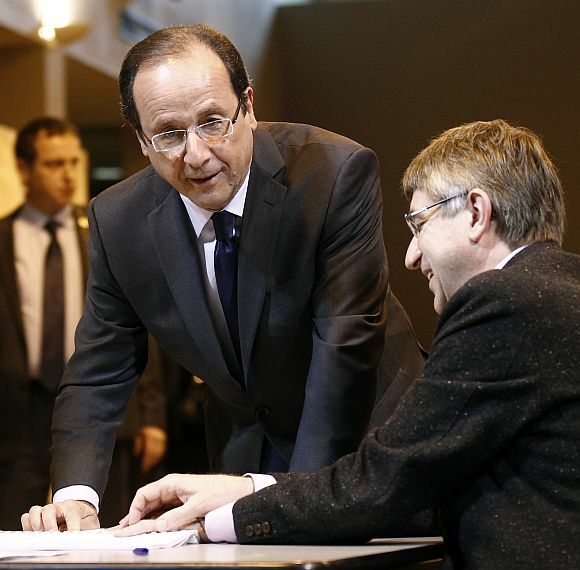 French presidential candidate Francois Hollande, representing the biggest opposition Socialist Party, cast his vote for Sunday's first round of presidential election. He cast his ballot in Tulle, central France, where he served as its mayor from 2001 to 2008. "I am attentive, engaged, and above all respectable. That's what the French vote for," Hollande told reporters after his voting, adding that the day was "an important moment." According to schedule, the poll-favourite would head to the PS headquarters in Paris where he would hold a meeting with his campaign team later in the afternoon. Earlier in the day, Francois Bayrou, representing Democratic Movement (Modem), Jean-Luc Melenchon, candidate of the Left Front and Marine Le Pen, candidate representing the far right National Front (FN), also voted in their respective constituencies.